Acrylic polymers and binding resins create an incredibly hard, durable finish. 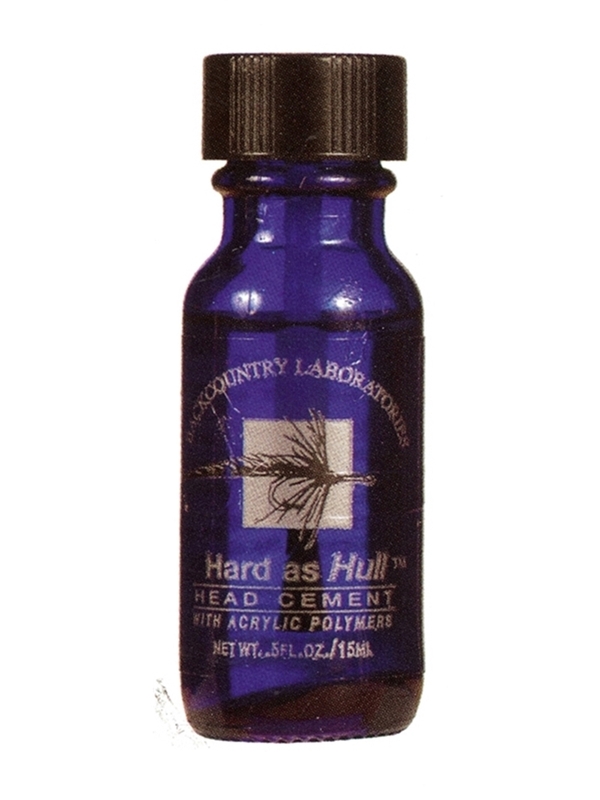 Hard as Hull head and fly cement from Filp's line of backcountry products. Very hard finish that can be used for head cement or to coat heads and materials. We use this stuff on almost all of our saltwater ties! Acrylic polymers and binding resins create an incredibly hard, durable finish. The cap has a built-in brush adaptor and the cement is quick drying for all types of thread and floss.